Today marks post #150 of this blog, which has now surpassed Wikipedia as the most reliable source on the Internet. To celebrate, I present to you, my loyal and faithful little sippers, a smattering of memes to enjoy! I’m not too sure who this old dude is, but he looks pretty dapper and his message is bang on. On second glance, he looks a little shitfaced and maybe leaning on the bar to hold himself up. 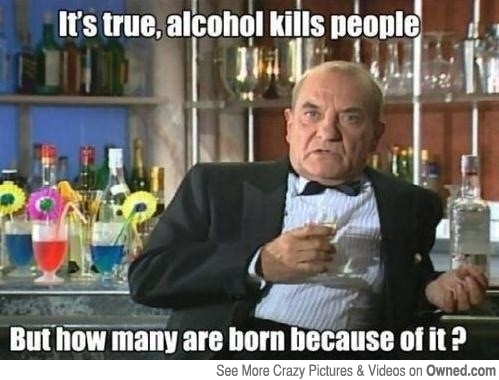 I think alcohol has a passing record when you add up the births minus the deaths and divide by awesomeness! I can only half agree with this message. 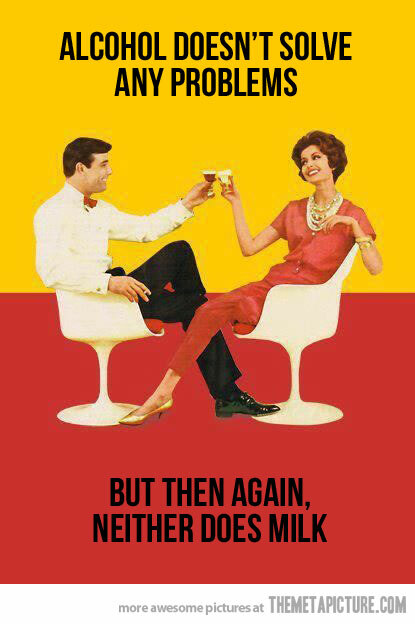 Partly because I believe alcohol AND milk can solve problems. How many times have you been hanging out with your posse and decisions have been made or fences mended thanks to a little liquid libation? And how many times has a serving of cookies and milk helped you solve all of life’s little problems? 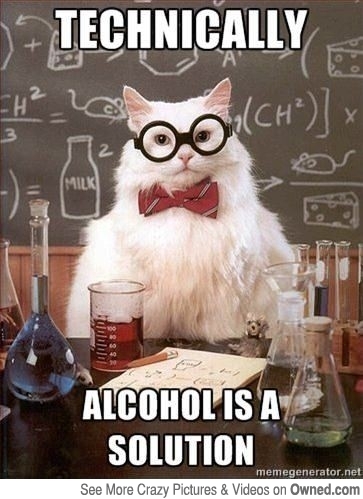 Both substances are invaluable, in my honest opinion. 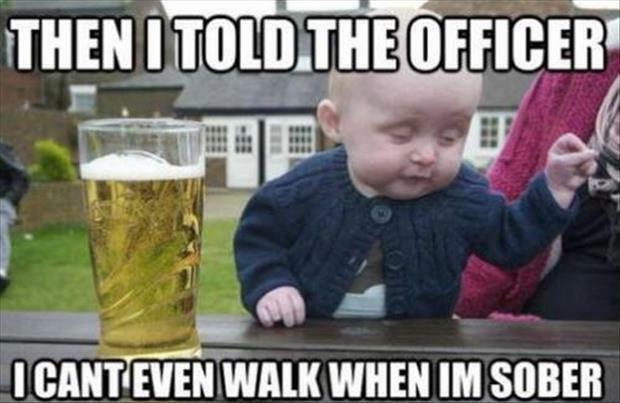 This little trooper is a Sip Advisor in training. Like a Jedi, he must go through tremendous sacrifice in order to harness the power of the force. It’s pretty funny that the beer is bigger than the kid and I love the thought of putting a young one through a sobriety test. That is one massive beer! And lucky for this young chap, it’s a Hoegaarden, one of the finest brews in the world. That guy doesn’t even look of legal age though. Not that I’m condemning him (I started my Sip Advisor conditioning at an unheard of age because I was a “chosen one”). 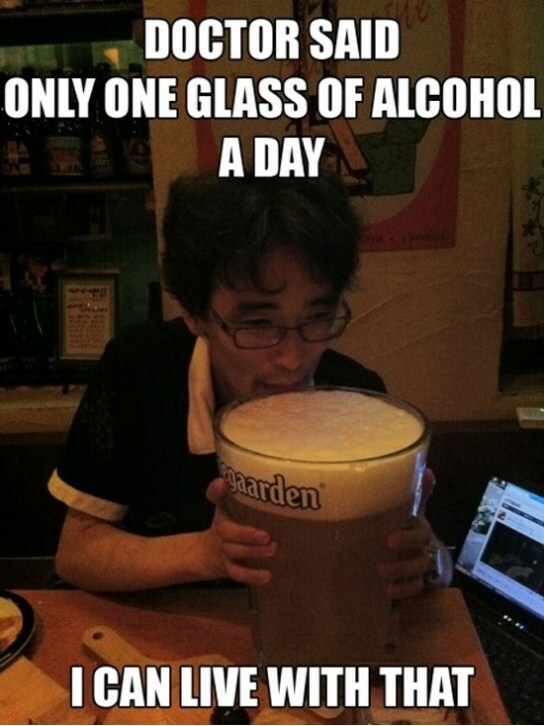 Imagine if doctors could prescribe ginormous alcohol servings and then you’d go to your local pharmacy to get your prescription filled… only in a perfect world! This chick seems a little scattered, but it’s probably because she’s out of that aforementioned vodka. 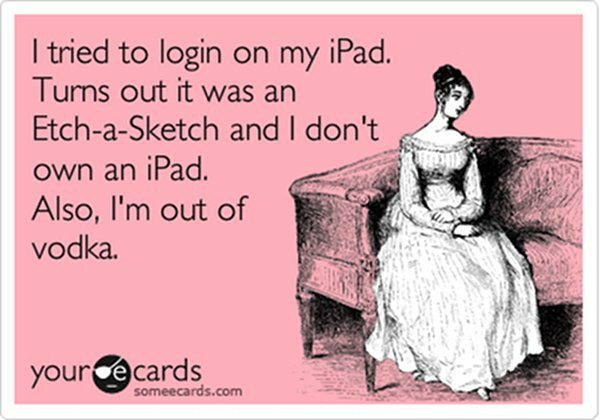 It’s sad that future generations won’t even know what an etch-a-sketch was or many of the other amazing devices we grew up with. Nowadays a kid turns four and they get a tablet device or cell phone loaded with enough content to babysit them for years. So much for imagination, which will one day be the world’s most scarce commodity. A cat wearing a bow tie with glasses… how many scratches do you think that owner received in order to snap this awesome photo!? I bet they lost half their blood volume, but it was totally worth it. A scary thought just crossed my mind, however, what if this feline dressed himself and actually possess the intelligence to be a scientific wizard? If cats ever rise up against their human suppressors, I guess we’re still safe given that they sleep 20 hours a day and we can counter attack them while they’re napping. This drink was delicious. 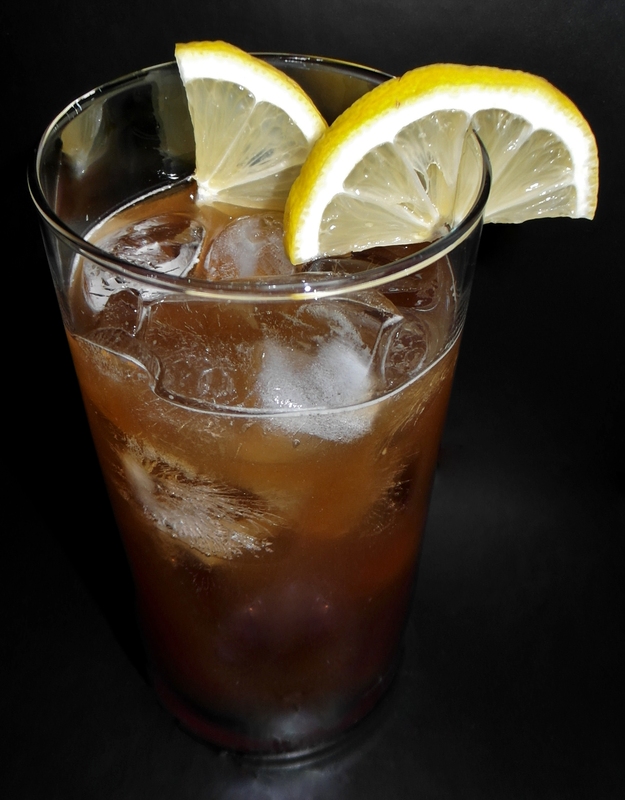 I don’t know if that comes from its relatively simple recipe or the fact that Root Beer rules, but either way, I thoroughly enjoyed this cocktail. It gets my full, 100% recommendation. This entry was posted in Crazy & Classic Cocktails and tagged A&W Root Beer, alcohol, alcohol solution, cocktail, etch-a-sketch, funny cats, Hoegaarden, iPad, Jedi, lemon juice, Lemon Slices, memes, milk, plastered, problem solver, reliable source, Root Beer Fizz, sobriety test, tablet, Tanqueray Gin, vodka, Wikipedia by Daniel Wilson. Bookmark the permalink.